Vision 21: Transforming Victim Services—a comprehensive assessment of the victim assistance field conducted through the Office for Victims of Crime, Office of Justice Programs, U.S. Department of Justice—identified a vision that every state will establish wraparound legal networks to ensure that crime victims’ rights are enforced and that victims of crime receive the broad range of legal services needed. As a result of that vision, ten state VOCA—Victims of Crime Act administrative offices—including DC’s—received funding to coordinate legal networks. The Victim Legal Network of DC (VLNDC) was created with the ultimate goal of alleviating the legal obstacles that crime victims face after a criminal victimization by creating a seamless network of high-quality, well-trained legal services providers in the areas of criminal representation, civil law, and administrative proceedings. NVRDC serves as the lead subject matter expert on the team for crime victims' rights and as the organization uniquely providing both criminal and civil crime victim services in the District. With the support of the Mayor’s Office of Victim Services and Justice Grants (OVSJG), NVRDC coordinates the efforts to craft a responsive network structure that would address the concerns raised in Vision 21 for the District in collaboration with Amara Legal Center, Ayuda, and the Legal Aid Society of DC. Over the first 2 phases of the project, these organizations developed an implementation plan that guides the network referral process, in order to increase access to legal services for those impacted by crime in the District. Once the plan was completed and approved, VLNDC began a 3-month pilot phase with 6 additional legal service organizations joining as network partners—growing the network to 10, before reaching a total of 16 member organizations. Learn about the other networks funded by OVC under Vision 21 here. Funding for the multi-year project is made possible by a grant from the Office for Victims of Crime, Office of Justice Programs, U.S. Department of Justice, and supported with technical assistance and training from the National Crime Victim Law Institute (NCVLI). Please contact NVRDC’s VLNDC Network Manager, Alexandra Smith, for more information about NVRDC’s role in the VLNDC project at alexandra@nvrdc.org. On October 9th, NVRDC Executive Director, Bridgette Stumpf, and VLNDC Network Manager, Alexandra Smith, presented to DC’s Access to Justice Commission on how VLNDC’s work reduces the barriers crime victims in DC face on their journey to justice and recovery and serves as a model for access-to-justice systems in the delivery of civil legal aid. In this quarter, VLNDC also expanded its number of network partners and served 40% more crime victims seeking legal assistance compared to the previous quarter. 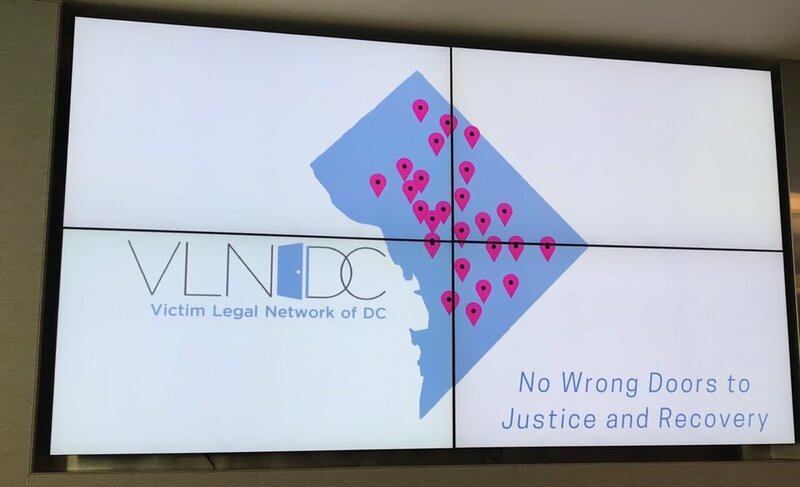 On July 9th, NVRDC furthered the integration of Victim Legal Network of DC within the District’s legal services community by expanding the network to include four new member organizations – DC Law Students in Court, Safe Sisters Circle, Tzedek DC, and Whitman-Walker – bringing the total number of VLNDC member organizations to 14. After increasing both the scope and capacity of legal services available within the network, VLNDC assisted 64 crime victims in Q4. This August also saw another exciting expansion with Glenda Moran joining as VLNDC’s Bilingual Navigator (English/Spanish). Not only does Ms. Moran bring valuable issue-spotting experience after working for two years as a Public Benefits Navigator at Whitman-Walker, but her fluency in Spanish also meaningfully improves the services VLNDC provides to Spanish-speaking crime victims (approximately 30% of VLNDC clients). Training and onboarding for new member organizations in July 2018. In honor of National Crime Victims' Rights Week, NVRDC hosted its Official Launch of the Victim Legal Network of DC. With almost 100 attendees comprising staff from legal service providers, funders, and community partners, the launch event embodied this year's theme of expanding the circle to reach all victims of crime. The main goals of this event were to commence outreach to the provider community to ultimately serve more survivors and the recruitment of new network member organizations. On both counts, this event was a resounding success. Referrals to the VLNDC Navigator significantly increased in Q3 compared to both Q1 and Q2. Additionally, this event sparked conversations with other legal service providers about becoming VLNDC member organizations. The Official Launch was bittersweet as it also culminated in the transition of VLNDC's Project Coordinator, Jabeen Adawi, to the role of Clinical Fellow at Georgetown Law. Alexandra Smith, who has served as the VLNDC Navigator for the past year, will be stepping into Jabeen's role and has some big shoes to fill, but we are excited to welcome Alexandra into this new position and know her dedication will continue to serve VLNDC as its impact and membership grow. In fact, following a presentation on wraparound legal assistance co-presented by Alexandra at the National Crime Victim Law conference in Portland, Oregon, several jurisdictions have approached NVRDC with questions on how to create a similar model in their states. This quarter, VLNDC continues to create impactful connections between crime victims and available, appropriate legal services to meet their needs while setting the stage for expansion of services. With increasing demand, the network served an additional 40 individuals with 98 legal needs. 21 individuals were referred by member organizations, and the remaining 19 were intakes conducted by Ms. Smith, the VLNDC Navigator. Ms. Smith successfully connected 45% of the legal needs for assistance to members of our network, and provided 47% of the cases out of network resources. The majority of our out-of-network referrals were due to requests for assistance in legal areas that are not provided by current members of our network. Finally, while 92.5% of VLNDC victims were female, 7% identified as male, and 35% of all victims identified as foreign born. In addition to sustaining the daily needs of VLNDC through member meetings and functional enhancements to our member portal, Ms. Adawi and Ms. Smith began taking steps to expand the network through recruitment and outreach efforts. Ms. Adawi and Ms. Smith invested a substantial amount of time in planning the launch event for April 10, in a way that will encourage community engagement in VLNDC. For example, they distributed targeted invitations to social service providers who do not identify as victim service organizations, to provide a resource table at the launch event. Thus, NVRDC would not only be able to build relationships with unique community partners, but also allow them an opportunity to learn about VLNDC services and how it might benefit their clients. Finally, several organizations that were identified as potential recruitment targets for VLNDC membership were also personally invited to attend the launch event. NVRDC looks forward to starting the next quarter with this energizing and uplifting event! This quarter VLNDC has seamlessly transitioned from the pilot phase into providing full services to victims of crime in DC seeking legal assistance. In this quarter alone, the network assisted 33 different individuals with 66 legal needs in receiving services either from within network members, or external resources. While a little more than half of these individuals were referred by member organizations, Alexandra Smith, the VLNDC Navigator, executed the rest of the intakes. Ms. Smith utilizes a trauma informed—but succinct—intake process to obtain only the key information necessary to determine the right legal organization to address a caller’s needs. Through VLNDC’s unique hub and spoke model—where the navigator is at the hub of all of the member organizations who are on the wheel—service providers are able to substantially increase their access to other legal service providers in DC without having to know various service areas themselves. 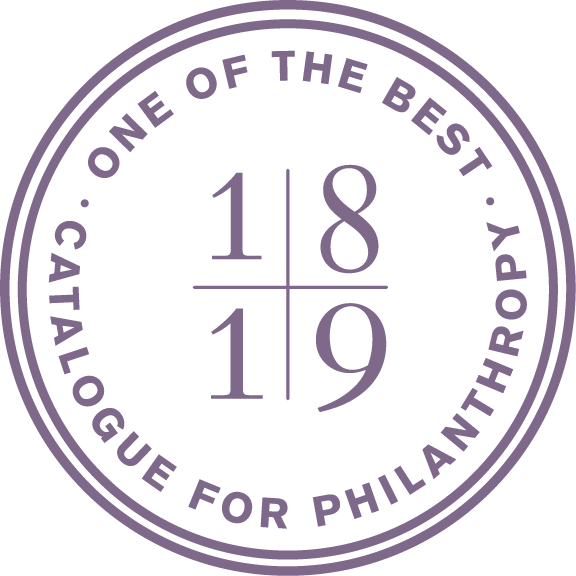 This information is centralized within the Navigator who processes and places cases according to services provided, and organization capacity information. This also results in victims accessing services in an unprecedentedly short time frame. For example, a crime victim who required assistance for a family law issue contacted Ms. Smith for services. Within 48 hours of conducting the intake (a concise 30 minute process over the phone), the victim’s case had been considered for services by four organizations, and finally accepted by the fifth. In a traditional setting, this victim would have had to conduct five different intakes—which would have taken weeks—before possibly being placed within the fifth organization. VLNDC is excited to see its growth as the network expands in the coming quarter with more outreach and recruitment. Please contact NVRDC’s VLNDC Navigator, Alexandra Smith, for more information about NVRDC’s role in the VLNDC project at alexandra@nvrdc.org.